J. Thomas Dickinson received his B.A. degree in physics from Western Michigan University in 1963, and his PhD degree in chemical physics from the University of Michigan in 1968. He went directly to Washington State University where he is now the Paul A. Anderson Professor of Physics and Professor of Materials Science. Dickinson’s research has been in the general areas of materials physics, materials chemistry, and surface science. Recent research has focused on: a) laser-ablation and laser desorption mechanisms in inorganic dielectric crystals and polymers; b) the applications of lasers in materials and chemical analysis, and c) use of scanning tunneling microscopy and atomic force microscopy to study nano-tribology and tribochemistry of wear, laser surface modification, and deformation physics. 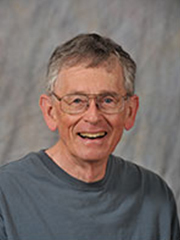 Dickinson is author or co-author of over 330 technical articles and book chapters. He has presented numerous invited talks on areas of materials physics and chemistry, including 16 Gordon Conference talks. He is a Fellow of the American Vacuum Society and the American Physical Society. He has chaired and co-chaired a number of international meetings dealing with fracture, tribology, and laser-materials interactions, including three Gordon Conferences. At WSU, Dickinson has received the Distinguished Faculty Address Award, the President’s Faculty Excellence Award in Research, the College of Sciences Distinguished Research Faculty Award, the Westinghouse Faculty Award in Materials Science, the Thomas Lutz Teaching Excellence Award, the Marian E. Smith Faculty Achievement Award, and was recently named the Paul A. Anderson Professor of Physis as well as being named Regents Professor at WSU. In 2003, he received the Distinguished Alumni Award from Western Michigan University. He is a member of the WSU Teaching Academy where he is focusing on improving the WSU Undergraduate Research experience.